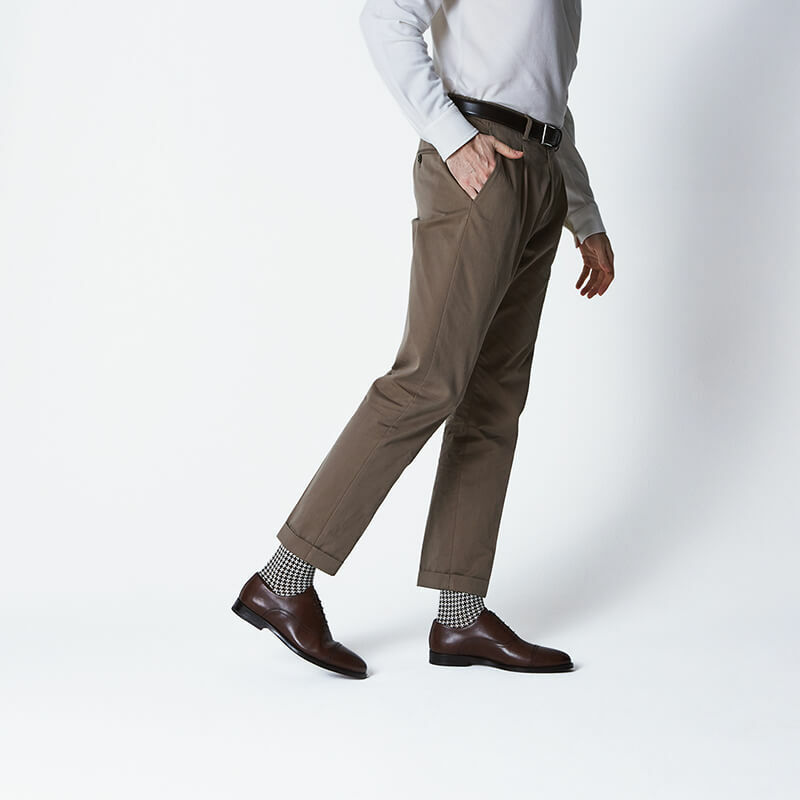 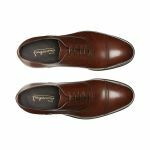 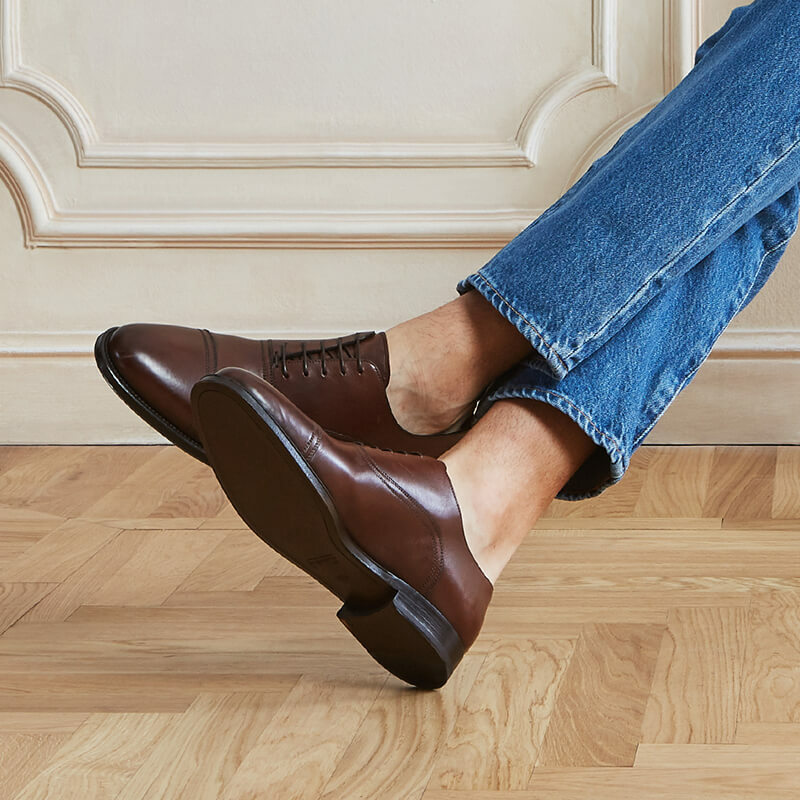 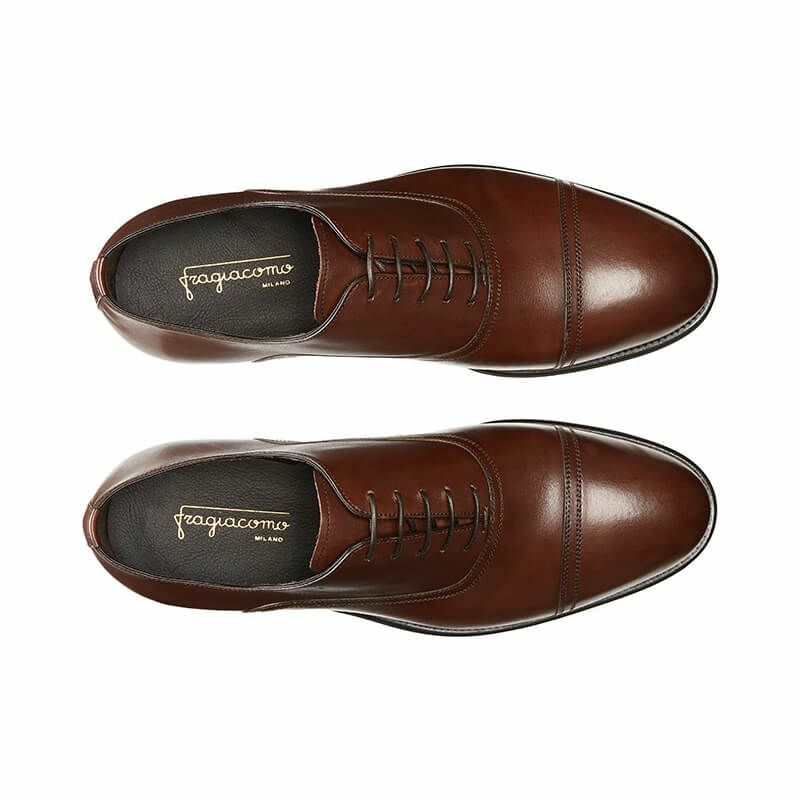 Versatile and chic, the leather Oxford shoes are among the most popular and requested styles by Fragiacomo. 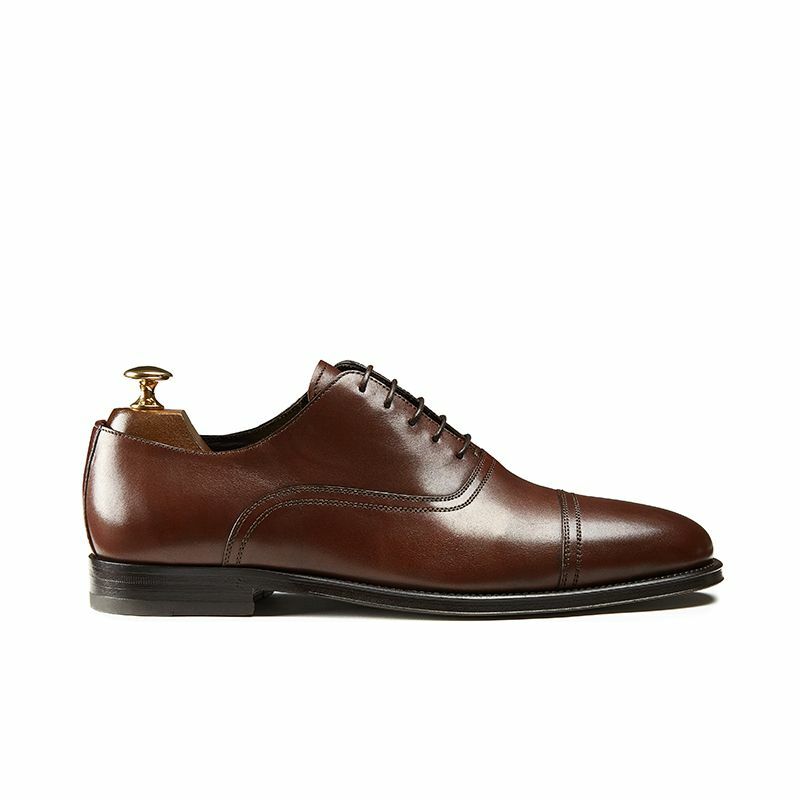 Embellished by hand stitching on the tip and on the sides, this style is offered in soft light brown calfskin featuring a double stitching blake-rapid technique. 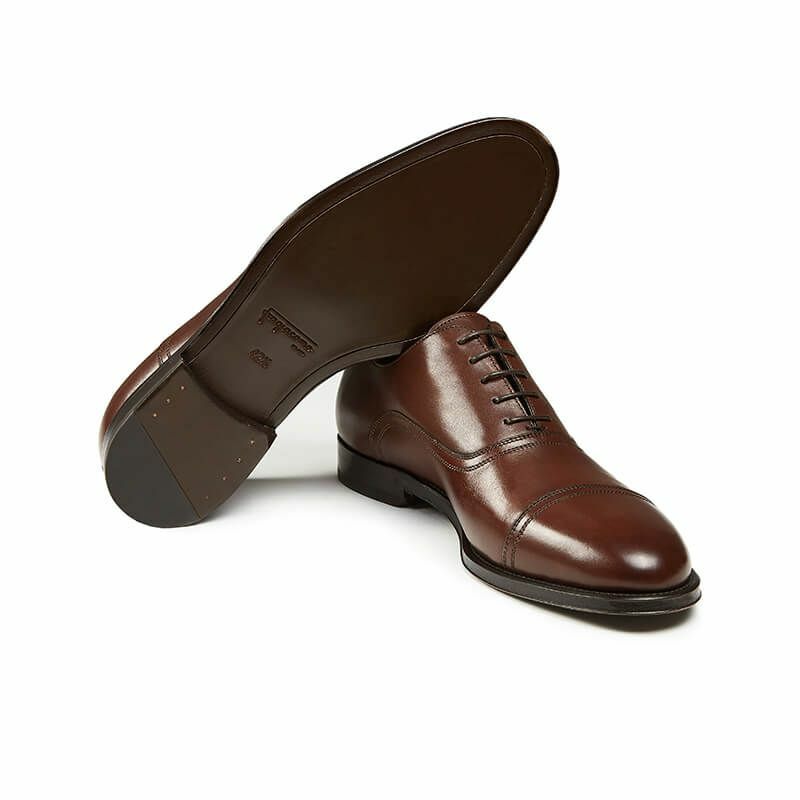 Leather sole and metal grommets add resistance making them essential everyday shoes. 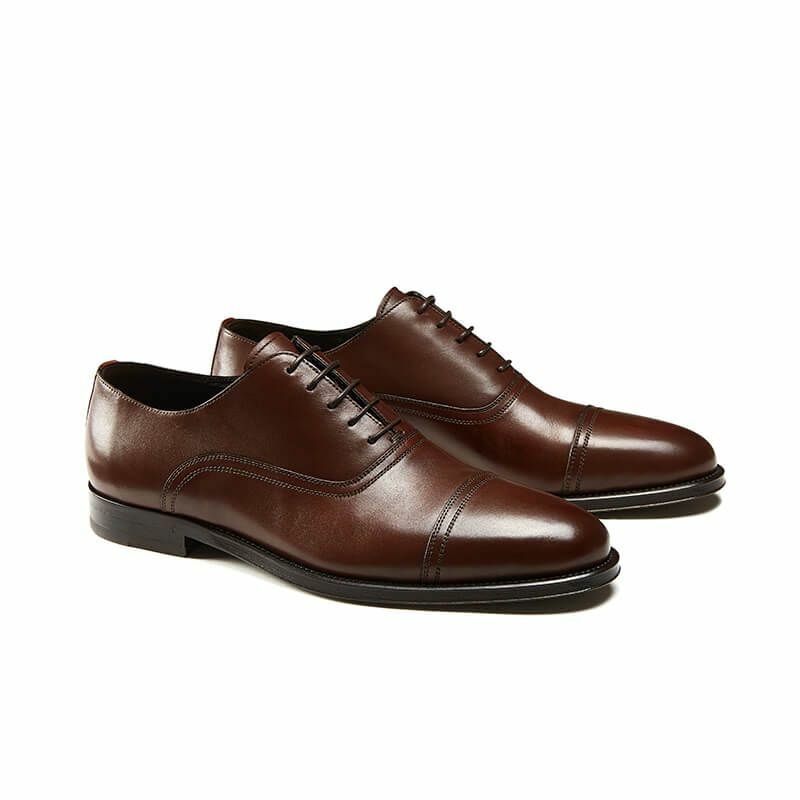 Perfect for the office, this style is the most versatile among the lace-ups. Also to be worn with tailored suits for formal occasions or ceremonies.